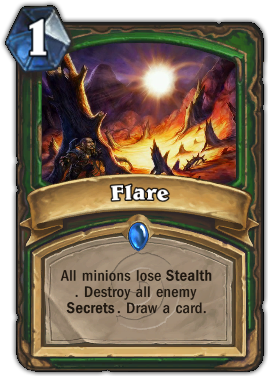 Description : All minions lose Stealth. Destroy all enemy Secrets. Draw a card. Quote : Not only does it reveal your enemies, but its also great for parties!